Vietnam War - WHY FIGHT? French intervention, in Vietnam, was unsuccessful. This illustration by Bernhard Gillam was included in Puck's April 8, 1885 issue. On the right side of the drawing we see that "the French army is routed by Chinese forces in 'Tonquin' (i.e., Tonkin or North Vietnam)." Online via the Library of Congress. By the time the war was over, America had committed 2.6 million troops to South Vietnam. Total casualties (including wounded) were horrendous: 365,000 for America; more than 3 million for Vietnam. How did America get involved in Vietnam in the first place? Why didn’t the United States learn the same lessons the French had learned when the area was called "French Indochina?" Some writers criticize the war and argue it was a losing proposition from the very beginning. (Government documents, collectively referred to as "The Pentagon Papers," provide support for that conclusion.) Others argue it was a necessary step in winning the Cold War. 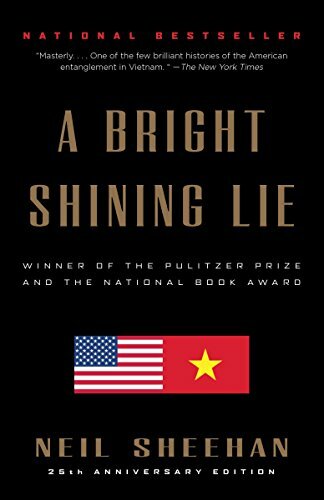 However history ultimately judges the events of war, the story of America in Vietnam begins in the 1950s. So does the story of Vietnam as a partitioned country, split into "North" and "South." America had provided assistance to France, in French Indochina, but that help was not enough. France was defeated in 1954, and French troops left the area. The Geneva Accords, that same year, set in motion Vietnam's political future by dividing it in half. Three years later, in 1957, President Eisenhower met with the leader of South Vietnam. Now that France was no longer in control, President Ngo Dinh Diem was seeking more American aid for his recently independent country. America provided expanded aid when President Kennedy first sent Air Force and Army military advisors to South Vietnam in 1961. The U.S. plan was NOT to stay in Vietnam. The plan was simply to advise Diem and his military how to ward off their neighbors to the north (who were intent on reuniting Vietnam under a communist government). Those American plans changed, however, between 1962-1964. Bos, Carole "WHY FIGHT?" AwesomeStories.com. Nov 01, 2001. Apr 19, 2019.